Master Sgt. Robert Sims, 912th Aircraft Maintenance Squadron lays a wreath on a grave of a veteran at Lancaster Cemetery Dec. 12, 2015. Every year since 1992, Wreaths Across America, a non-profit organization, sponsors the laying of wreaths at the graves of veterans across the country Dec. 12. Locally, volunteers laid wreaths on the graves of veterans at Lancaster Cemetery. Master Sgt. 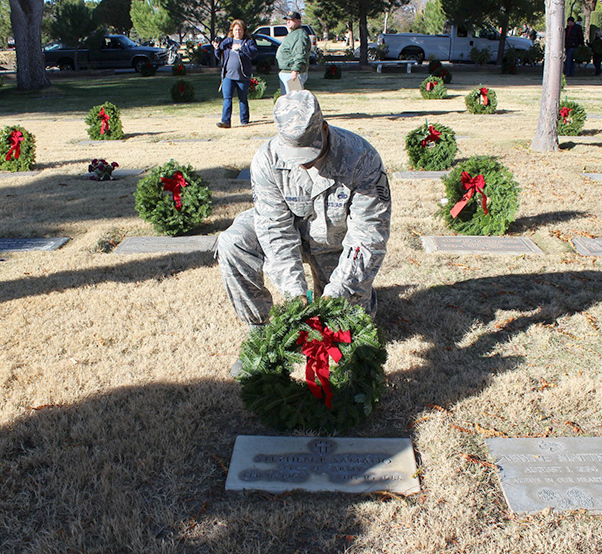 Robert Sims and Senior Airman Cory Mock from the 912th Aircraft Maintenance Squadron were among several Edwards AFB volunteers who assisted in placing wreaths on 840 graves of veterans at Lancaster Cemetery, which began at 9 a.m., Dec. 12, following a ceremony. This yearly tradition began when a company in Maine produced too many Christmas wreaths and decided to donate the rest of them, about 5,000, to Arlington National Cemetery. This year, the organization raised enough funds to put wreaths on every headstone at Arlington. 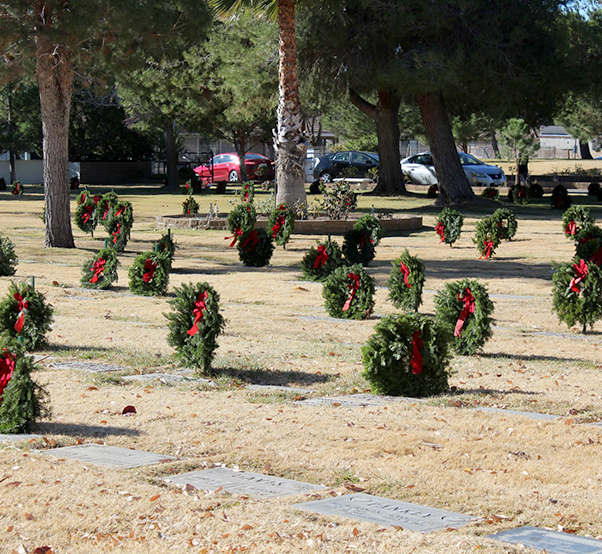 Wreaths were laid at 840 graves of veterans at Lancaster Cemetery Dec. 12, 2015. Master Sgt. 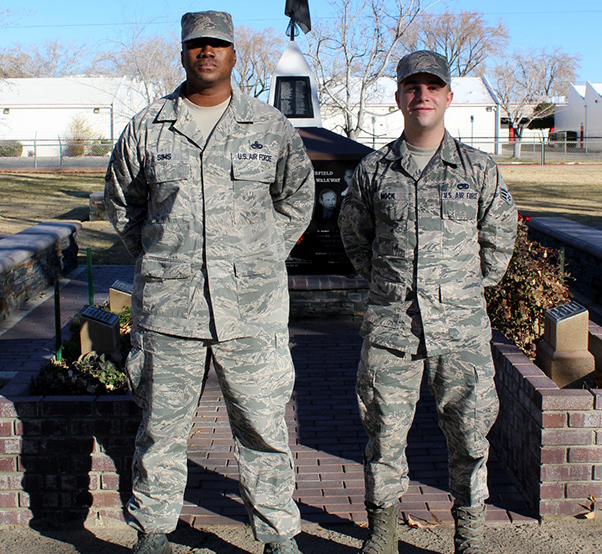 Robert Sims and Senior Airman Cory Mock from the 912th Aircraft Maintenance Squadron were among several Edwards AFB volunteers who assisted in placing wreaths on 840 graves of veterans at Lancaster Cemetery.